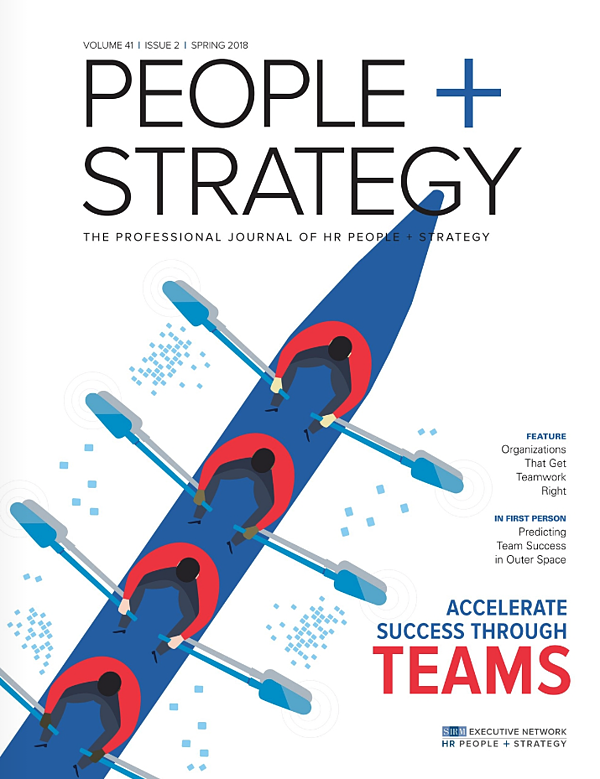 At Winsborough we're proud that our founder, Dave Winsborough, was a recent guest editor of the People + Strategy journal, a leading publication for HR and recruitment professionals. In his introductory article for the Spring 2018 issue, ‘Extreme value in effective teams,’ Dave pinpoints several key articles around effective teams in the modern age. It’s all too easy to bring on board the wrong people for a team, or, perhaps a team is promising, but cohesion and efficiency remain out of reach. Because of these common frustrations, we continue to explore the theme of our previous blog posts where we look at what makes teams effective - especially as modern developments in business present new complexities. Non-stop innovation has brought changes to the way teams work, and it’s crucial for recruiters and HR managers to keep up. There are some exciting advancements in how we think about and construct teams in the organisational sphere, yet deficits in team effectiveness still plague companies. As Dave puts it, ‘organisational unconsciousness and...incompetence prevents teams from being as effective and useful as they should be’. Teams are crucial, but they should always be effective. Effective teams succeed at the given task and are empowered to surpass expectations, whether the goal is precise and clear-cut (as with goals that are tied to measurable KPIs), or whether objectives are much more complex and ill-defined. In this case, it’s even more imperative that the team is internally strong, stable, and focused to get good results. Dave introduces several articles in the Spring 2018 issue of People + Strategy that deal directly with team effectiveness under unusual circumstances. One article addresses ‘ignition teams’ that ‘pursue goals beyond their initial reach’, and therefore must find the spark within to solve bigger, more complex problems. Success here is about balancing priorities, such as absorbing outward pressures together vs. encouraging each other, and staying aligned in purpose vs. maintaining personal independence. Also touched on is the idea of ‘social capital’, which can arise as a result of mergers and acquisitions. It’s a pooling of unique skills, professional networks, and capability that can make for an extraordinarily strong team. This reflects the tendency of successful teams to extract the best from its members. At the nexus of communication technologies and globalised business sits the ‘virtual team’. New technologies, in the guise of helping, are actually putting increasing demands on teams. Whether it's video chat or cloud-based project management, companies are quickly adopting new platforms at the risk of team unpreparedness. Virtual teams must then build camaraderie often without sharing a time-zone or similar workplace experience. Dave notes that ‘growth (in the number of workplace teams) hasn’t been accompanied by either breakthroughs in staff engagement or productivity’, which may be partly due to the lack of trust-building engines. To perform at the highest level, virtual work groups must patch up built-in vulnerabilities by improving visibility among team members, communicating well without the help of non-verbal cues, and establishing trust. As always, it falls to the organisation to make these adjustments possible. Team building for virtual groups is already hard to achieve, for all the reasons discussed. But it’s indeed possible with a rich pool of social capital and a commitment to building rapport. To add to this, we need to appreciate one of the habits of the strongest teams: debriefing. Dave says that a debriefing process — involving consistent reviews of such things as key ideas, sticking points, and keeping everyone on track — is one way that the best teams achieve their goals. Then, self-correction comes in as a key step towards improvement. Dave notes that ‘all professional sports teams do this to obsession...yet it is done rarely or worse, half-heartedly, in organisational settings’. If only these processes embraced by athletes were taken up in business, a manager might well spark a culture of collaborative innovation and performance. That, in turn, can unlock structural and financial breakthroughs for the whole company. Whether traditional or virtual, strong teams are made of the same stuff. Among other critical qualities, that stuff is an enduring sense of trust, open, unhindered communication, a healthy debriefing regimen, and a harnessing of talent and shared values. To learn more about building the strongest teams imaginable, talk to us.